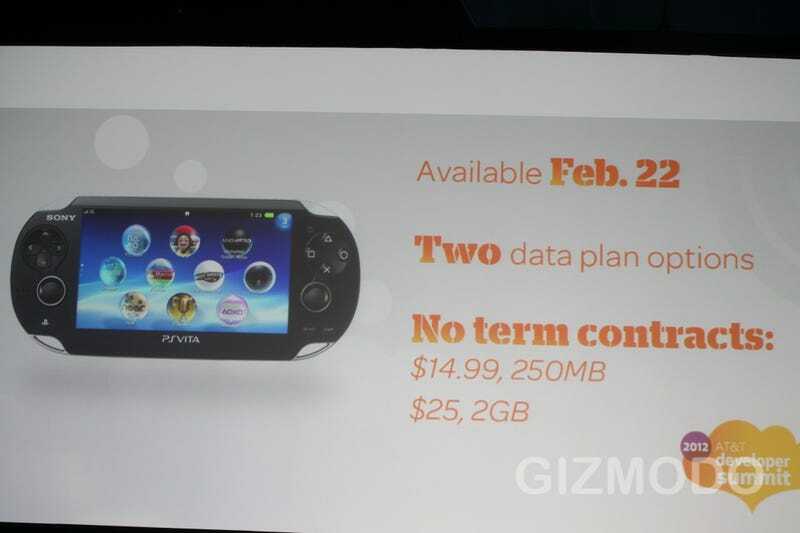 The data plan for the 3G version of Sony's hot new portable gaming system, the PlayStation Vita, will run you $15 for 250 MB or $25 for 2GB. There are no contracts, AT&T reps said during a presentation at the Consumer Electronics Show in Las Vegas. Those prices are similar to what AT&T charges customers of the iPhone and Droid phones. Those folks pay $15 for 200 MB and $25 for 2GB. The Vita officially comes out in North America on February 22, though early adopters will be able to get it a week early.